I have been at sea all my life. My grandfather used to take me trolling and spearfishing since I was a kid. Living on a tropical island, where wintertime temperatures are around 80F, you fish year around. 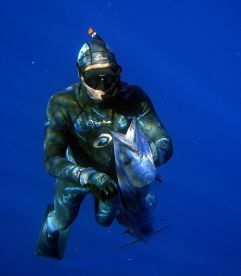 I have had 10 world records in spearfishing (freediving) category and I am also a freediving (apnea) instructor. My love and passion for fishing took me to a job at sea. 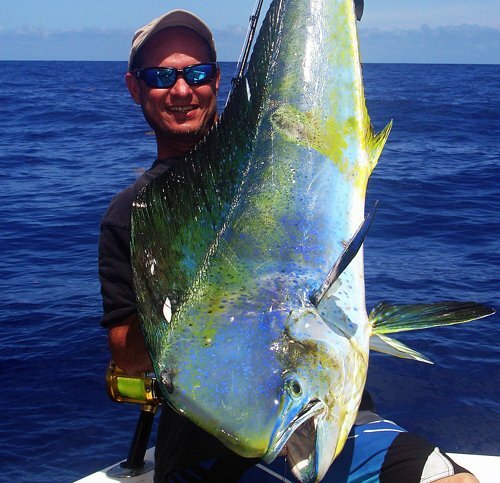 What better way to share this passion for fishing with others than being a charter captain. I run a small business where the owner takes care of you. I'm honest and humble and it's fun to share my knowledge with my clients and future friends. I really like to go after Tarpon and Snook in our inside/ protected waters, where there are no waves and nobody gets seasick. There are many Silver Kings here and you can actually see them on the surface, where you will put the bait on top of them. Tarpon will jump out of the water like a Marlin would and it's lots of fun. I also love jigging, a new Japanese style of fishing, where you place a jig in deep waters and, with the proper motion, bring it fast to the surface imitating an injured baitfish or squid. The strikes are really hard. My passion is spearfishing, where you can actually choose the fish you want to target. This a very ecological way to fish and pretty easy to learn by anyone who knows how to snorkel. There is no way to describe the feeling of being underwater with a speargun – it's a mix of hunting and fishing while been around gorgeous coral reefs and many beautiful tropical fish. wonderful time will book again. Captain Reyes had a very good boat an tackle. The fish were not biting, not his fault. He worked very hard to try to get fish. He even spent an extra hour on the water at no additional charge. I would book with him again. Highly recommend! !